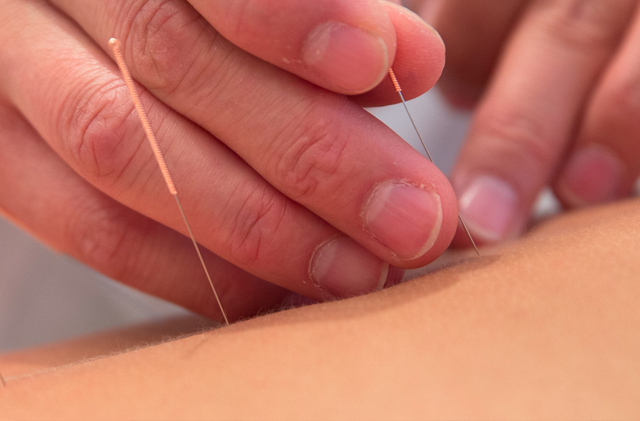 Contemporary Medical Acupuncture is a nerve stimulation technique, in which acupuncture needles are inserted into anatomically defined neurofunctional sites, and are often stimulated with electricity for the therapeutic purpose of modulating abnormal activity of the nervous system. This technique is performed by Dr. Tyler and is effective in treating pain syndromes and functional problems. Dr. Tyler uses this technique for a wide variety of conditions that include: headaches, neck, low back, upper extremity and lower extremity pain. Beautiful new clinic with exceptional care. Amazing online booking convenience. Great Service & Staff. Booking online is my favourite feature! My experience at Wake Wellness was AMAZING!! I cannot believe how much better I am feeling after a couple of treatments. Such a warm, welcoming environment. This space is AMAZING! The decor is so welcoming and the practitioners really care about their patients. If you’re looking for a new RMT, Melissa is second to none! Highly recommend WAKE Wellness!! Dr. T. knowledge of different treatments to compliment the regular manipulations visit has been been a very positive experience in managing my re-occurring back issues and assist in the healing of other injuries. Also cautious and thorough with good results for me.. Highly recommend. Had a great first experience with both Tyler and Melissa. Great location and hours. Looking forward to seeing them both again! Dr. Tyler is great. Listens to you to help make the most out of your treatment. The new office is warm and inviting. I would absolutely recommend Wake Wellness to others. Feeling great! I've been coming here for a few months now and was originally concerned because I am a large person at 6ft 5 and 310 lbs. Dr Tyler has no issues making adjustments and I can say after many years of different chiropractors this is the best I've ever felt. It's a nice large and clean office and rooms and very friendly. Price is good and I would definitely recommend! Both Dr. Tyler and Melissa have been great with my entire family. The office is incredibly welcoming and they are very professional but they are down to earth and honest. Tyler has provided incredible relief to me when I have been feeling at my worst! I highly recommend WAKE Wellness and their incredible team! I always feel SO much better after a visit to Wake Wellness! It's a pleasure to visit the office every time, and the advice I'm given for self care between treatments is perfect. Such a comfortable atmosphere. My family and I have been seeing Dr. Tyler for a couple of years now. He is a very friendly and caring Doctor. He really takes his time with you and explains things very well. He is also very knowledgeable and professional. He is patient and great with kids. We highly recommend him. I was fortunate to have the opportunity to visit and book my next appointment at Wake Wellness. I waited for a friend to have a treatment and it felt like the logo says -Wake Wellness. You definitely feel the Wellness atmosphere, I had an amazing greeting, coffee, breakfast if I didn't have time at home. Many wonderful places in Midland but I am so very happy to have such a Wellness, health felt experience when I walked in the door. What a wonderful addition to the services we come to expect in Midland.